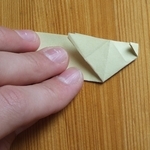 Learn how to make origami projects by simply following the clear, step by step origami instructions. 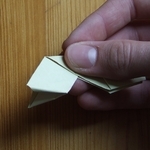 This origami cow is so lifelike you can almost hear the “moos”. 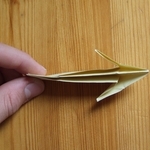 That's why it is my favourite animal. 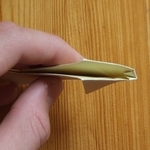 Start with a square piece of paper and fold one edge over to the opposite. 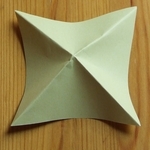 Unfold it and do exactly the same with the other two edges. 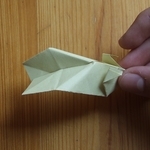 Your paper should like above. 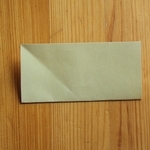 Now start to collapse the pre-folded piece of paper as shown on the pictures. 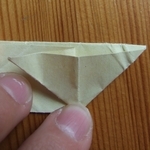 You should have a triangle like above. 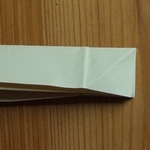 Fold the tip of the triangle down the centerline.The tip should cover about half of the folded length. 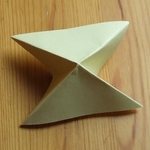 Now unfold the balloon base and squash fold it as shown. 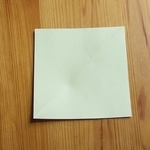 Your paper will look like above. 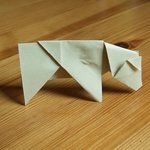 To finish the cow's body, simply fold it in half. 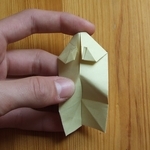 To make the cow's head, use another square of paper. 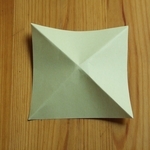 Fold it in half with the colored side (if any) on the outside. 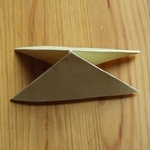 Next fold each half downwards, as shown on the photos. 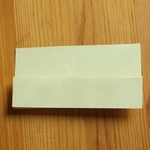 Now, fold the end of the rectangle to look like above. 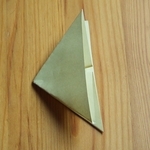 Each outside layer of the folded rectangle is squash-folded backwards. 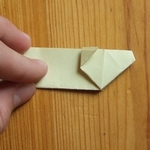 Now reverse fold the nose of the cow as shown on the photos. 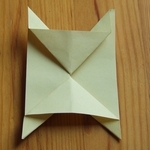 Fold the cow's ears forward. 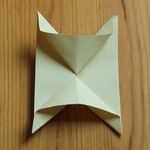 Next, fold the neck downwards as shown. 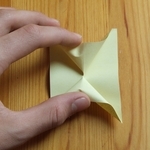 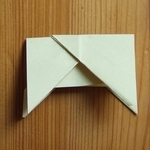 Then do a reverse fold, as shown in these photos. 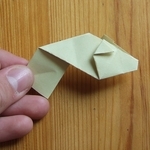 To make the neck of the origami animal fit into the body, reverse fold the bottom of the neck as shown. 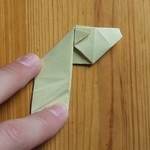 It can be very tricky to get the right amount of fold. 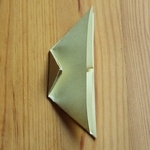 If too little it won't fit into the body, if too much, the head will fall forward. 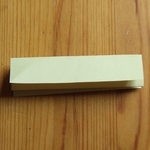 Finally, glue the neck to the body as shown. 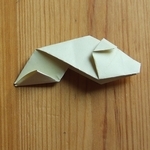 Now your origami animal, the cow is done. 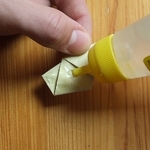 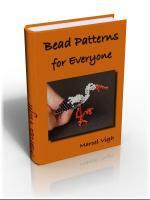 You can decorate it with pens, markers or crayons.